Profile or account management should be open. I.e. I could sync with profile with passwords somewhere on my LAN. Now since I don't trust having my passwords in the cloud, I'm left for protecting my local profile with a "Master password". 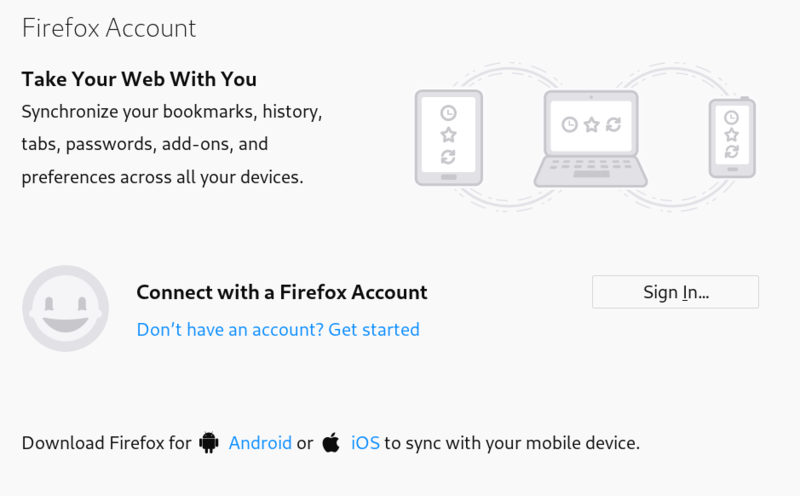 Firefox feels slower. 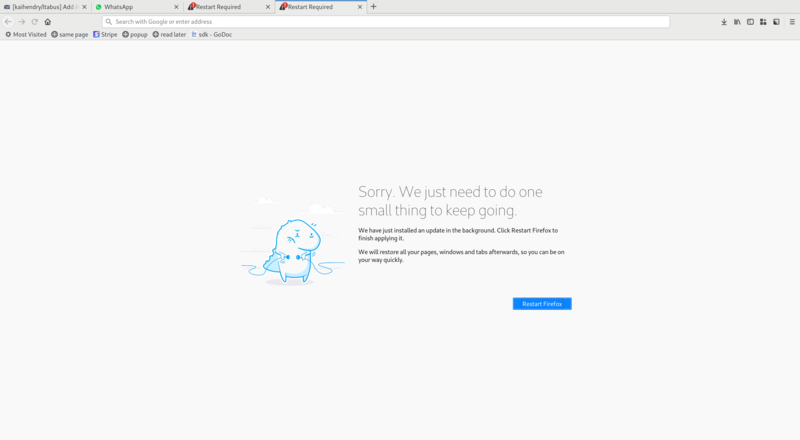 Pages can become unresponsive quicker than Chrome. I have no idea why. Render lag and worse of all, input lag. It feels slower to draw things. Update: Since disabling layers.acceleration.force-enabled things are much better. No hardware acceleration, but more reliable now. No way to hide the toolbar. Important whilst taking screenshots. I could hit F11 as a workaround, but I don't like hiding the URL bar. Also, I don't like the menu redraw, also can be seen with hitting Alt (often accidentally). When you download in Chrome, there is a nice little bar that appears. In Firefox nothing happens until you open the weird Ctrl+Shift+Y menu. The URL bar search is not as good as chrome. Lots of search queries are interpreted seemingly as URLs!? Furthermore search queries in autocompletion seem prioritised over previously visited URLs. Firefox spell checker does not seem as good as Chrome. And I must concede Safari seems to offer the most polished autocorrect UX. The restart behaviour, to interrupt a user is a bit daft.